Just who is this Mr.J guy anyway and what can he offer me? I'm glad you asked that question. My name is David Jeffers. It's been my pleasure over the past 15 years to present programs to literally thousands of people all over the country. At the start I was a magician but it's grown over the years into a truely muti-media explosion. I now offer programs using Magic, Clowning, Puppetry, Story Telling, Magic Classes, Clowning classes and pupperty classes. A program offered by Mr. J Entertainment is truely a interactive experience. No matter what program you choose you can expect the audience to be involved. Please see my Services Description pages for more information. "Thank you so much for performing your magic act at our Library. The children (and the moms) loved it. It was both magical and funny. The children's laughter and cheers could be heard all the way upstairs so we knew they were enjoying the program". Children just love Mr. J. They also love the many surprises that come along with a Mr.J program. A real live bunny rabbit is always a crowd pleaser. 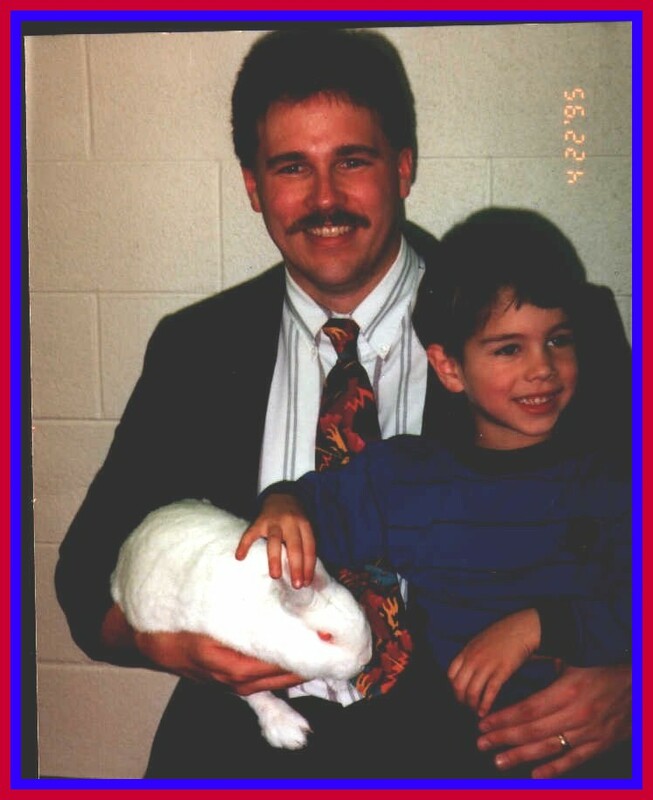 Pictured with Mr. J is Harry the rabbit along with a delighted audience member. You can expect the same kind of reaction from your group also. As you can see from the picture below Mr. J's audiences really get into the program. This is the kind of reaction you can expect when you book us for your special event. Now that I've introduced myself to you there are a couple things you should know before you hire any entertainer. 1. make sure they are a full time performer. Do you really want a part time entertainer putting your reputation at risk infront of your peers? 2. Check out their refrences. Ask for some people you can call and verify the fact that they are good at what they do. If they can't give you any, just say thanks but no thanks. 3. Last but not least, do they give you their prices up front in writting like I have on this site, or do they make you jump over hurdles first. Believe me, many performers are more like tele-marketers then they are performers. A couple questions are ok but some people keep you on the phone in order to wear you down and say yes to something you really don't want. We've all been there and done that,right?